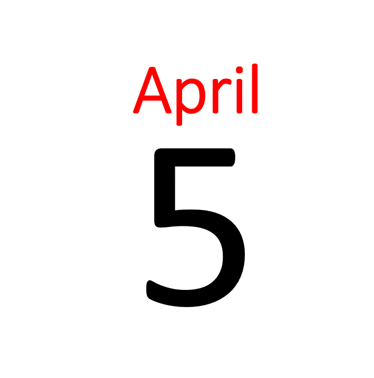 We will be accepting new SIPP applications and contributions up until 5 pm on Friday 5th April 2019. Note a change in procedures compared to previous years; as our SIPPs now have individual bank accounts contributions must be paid directly to the correct individual account and include the SIPP number as the reference. If you are unsure as to the correct Bank account details to use, please phone us on 01228 538 988 and ask for the SIPP Accounts Team. For existing SIPP members we will need a new signed ‘Supplementary Contribution Application’ to accompany the contribution, this can be downloaded from our website and should be sent by email to: sippaccounts@investacc.co.uk (or by post or fax to 01228 535 988). For new schemes we will need a fully completed new SIPP Application which can be sent to us by email at sippadmin@investacc.co.uk (or by post or fax to 01228 535 988). The Minerva SIPP can invest in a wider range of assets including Commercial Property and Land, on an individual or group basis. Any combination of permitted investments may be made within a Minerva SIPP including deposit accounts, DFM, open market Platform/Wrap accounts, Stockbroker accounts and Trustee Investment Plans, all held together within the same SIPP. SIPP Lite is a lower cost option, for those that do not require multiple investment accounts, or access to Commercial Property and Land at outset. SIPP Lite members are restricted to a maximum of one investment account, to run alongside the default SIPP bank account. This investment account could be another bank account or ONE of the following: Stockbroker account, DFM, open market Platform/Wrap account or a Trustee Investment Plan. For individuals that require additional investments at a later date, including Commercial Property and Land, they can upgrade their SIPP Lite plan to a Minerva SIPP. A Small Self-Administered Scheme (SSAS) is a type of UK Registered Pension Scheme. Each SSAS is governed by its own Trust Deed and Rules and is a separate legal entity to the Sponsoring Employer. The Sponsoring Employer establishes the SSAS and invites members to join. Any individual employed by the Sponsoring Employer (or a participating employer) may join the Scheme and all members are appointed as Trustees alongside the Professional Trustee. SSAS trustees have a very wide range of investment options, including the ability to make secured loans to the Sponsoring Employer of up to 50% of the net asset value of the scheme, subject to certain conditions. We have been operating in these markets for over 20 years. The SSAS business was formed in 1997, and in 2003 we launched our flagship product, the Minerva SIPP. The range is completed by SIPP Lite, which has been available since July 2012. InvestAcc Pension Administration Limited is registered in England and Wales. Company number 7118349. Authorised and regulated by the Financial Conduct Authority. Note that InvestAcc Pension Administration Limited does not provide financial advice.